Vendors must show proof of licensing from the Natrona County Health Department and send a copy to David Street Station prior to the event. Please attach a photo of your tent/vehicle below. Include the service window, any doors, and the trailer tongue, if applicable. Also include any picnic tables, awnings or large umbrellas. I understand that David Street Station does not guarantee exclusivity to any vendor. I agree to accept all liability for any damages caused by the set-up, operation or tear down of my booth, and to indemnify and hold harmless David Street Station and The Downtown Development Authority for any claim, demand or liability arising out of such operation, sales, services and to defend David Street Station and the Downtown Development Authority from any such claim, demand or liability including all attorney fees and costs incurred. I agree to assume full risk of any injury, property damage or loss which I may sustain as a result of my participation in any and all activities connected with or associated with my participation in an event at David Street Station. Further I understand that I should carry my own insurance and that I display and/or store my products at my own risk. I agree to list the Downtown Development Authority/David Street Station and the City of Casper as additionally insured on my insurance policy, and I will submit a Certificate of Insurance no later than 30 days prior to the event. I understand that failure to submit this COI will result in exclusion from the event. I agree that booth placement is at the sole discretion of the event coordinator, and no booth locations have been promised in advance. I understand that due to the nature of parking food trucks and trailers in tight spaces downtown, that strict timelines for arrival and departure must be adhered to. Vehicles that are used to pull food trailers must be parked off site. If a vehicle is necessary to the operation of your booth, additional fees will apply. I understand that my booth should have an attractive, professional well-maintained appearance. I will remove all garbage from my booth area at the end of the event. I will clean up any food spills in the area surrounding my booth immediately. I am aware that I may bring tables, chairs and umbrellas, however placement of these is at the discretion of event staff. I understand that David Street Station does not provide power for food vendors, and I will bring a quiet, clean generator to satisfy my power needs. I understand that the booth fee is non-refundable. Payment in full is required to hold your booth space. Unless the event is cancelled, there will be no refunds. 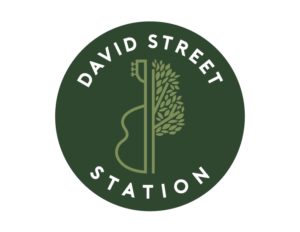 Public WIFI is available at David Street Station, however due to the amount of people expected to be using this connection, we recommend having an alternate plan for your internet usage. 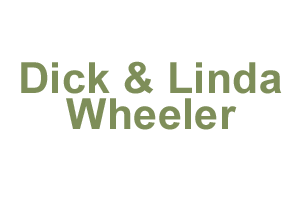 Vendors must collect and remit sales tax directly to the State of Wyoming. Booth Fees vary depending on event. Snow cone vendors will have an additional $150 cleaning fee per event.